Winter turned to spring and the sincere waiting began. Every morning I would go out to feed the herd, certain that TODAY would be the day the baby would arrive! Every morning for nearly a month, no baby. Soon April ended, no baby! I wanted to be there for the birth in the worst way. Day after day, no baby! The end of May was fast approaching and I was getting a bit worried. In MY mind, that baby should have been born already. The third week in May had me away from the Ranch, also that same weekend was my son's wedding! I just had a gut feeling that this little baby was going to be born while I was gone. UGH! On May 19th, I had a “Come to Jesus” meeting with sweet, but increasingly grumpy, Delilah. I informed her that she just cannot have this baby while I was going to be gone. She needed to wait until I got back! I was still coming to feed the critters morning and evening but that was all. Everyday I continued to tell this poor mama mini that she just couldn't have that baby until I was back home full time. I'm sure she was thinking I was heartless and had some nerve to be asking this of her! Monday morning, May 23rd, the long awaited baby appeared! One of the wranglers, Kati Wyland, had come early that morning to help me feed the crew. I had gone over to the hay barn for hay. 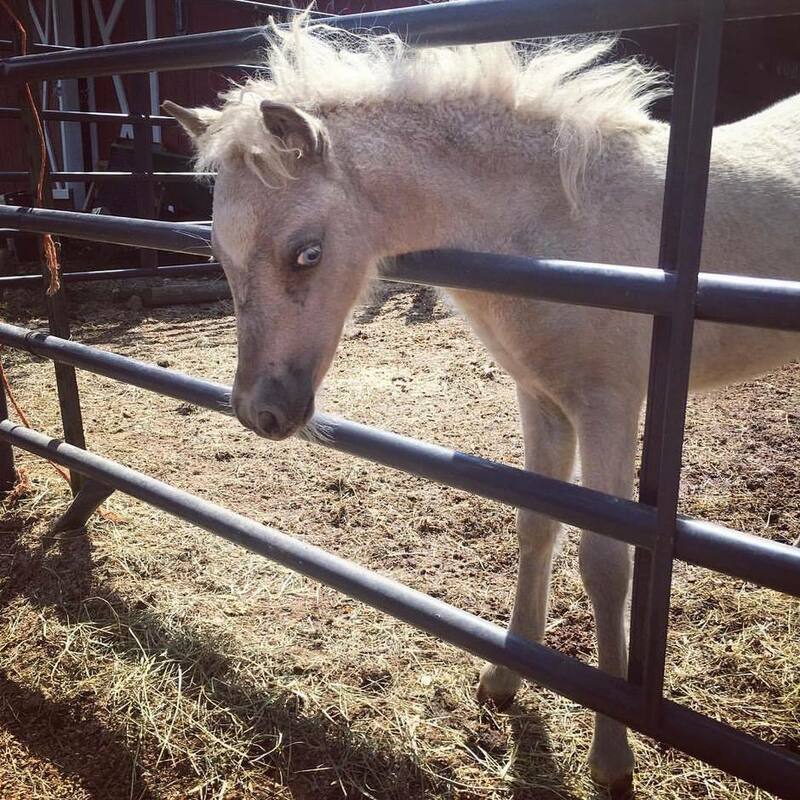 Kati came around the corner of the feed barn and there was the new foal, standing all wobbly with her mama. Bless Delilah's heart, that little girl honored my request! Covered in silver baby fuzz, with a heart shaped marking on her little forehead, this little girl looked at me with the most crystal blue eyes I have ever seen in my life. Such a gift. Healthy, cute and just full of cuddle factor! After much thought, I decided to name this little girl, Luca. Luca means, Giver of Light. She has been a light to all the children, parents, volunteers and visitors that have been to the ranch, no doubt about it! 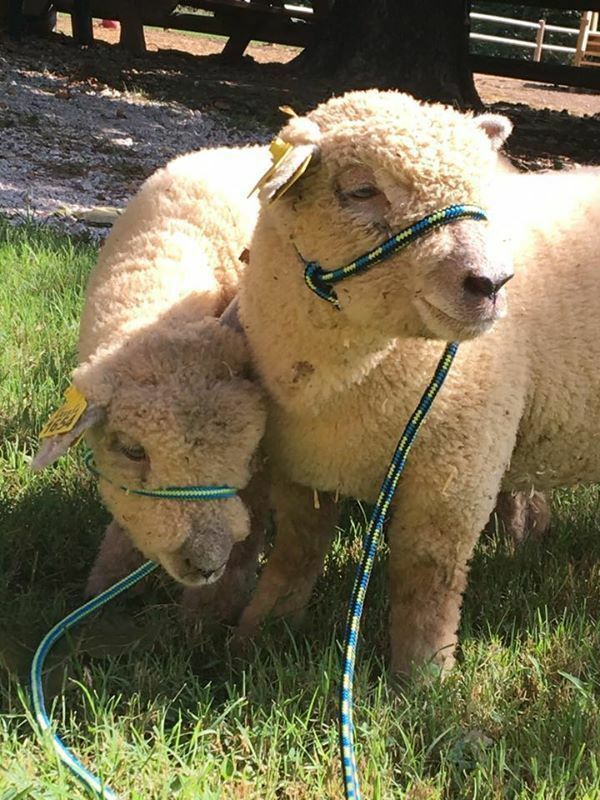 The second and third arrivals to the Ranch are two Babydoll Southdown lambs. These two guys arrived at the beginning of August. Two little balls of wool and charm. The boys are settling in nicely, still a little shy but they seem to be enjoying their new surroundings. Sheep are a new experience for us that's for sure! Wrangler Mikenley Travis is helping mentor us in all things sheep related. Mikenley is a 4H gal and her specialty is showing sheep. We are so grateful to have her wisdom and insight to help us along. Stay tuned for more “Wooly” stories as the boys continue to capture our hearts! The summer of arrivals and updating the great things and including essential techniques and more sessions always. The https://www.australian-writings.org/ blog confirmation on college writing tips and thoughts on exams based tips.